LinkedIn shed more light Tuesday on a big-data framework dubbed Gobblin that helps the social network take in tons of data from a variety of sources so that it can be analyzed in its Hadoop-based data warehouses. Although the task of funneling data into Hadoop may seem relatively simple since the basic idea is that data needs to be transferred from one location to a large, centralized system, the reality is a lot more complex. [company]LinkedIn[/company] houses a variety of internal data (information pertaining to member profiles, user actions like comments and clicking, etc.) that sits in databases like Espresso and event-logging systems like Kafka. Additionally, the social network also takes in data from outside sources like [company]Salesforce[/company] and [company]Twitter[/company], although at a smaller scale than its internal data. 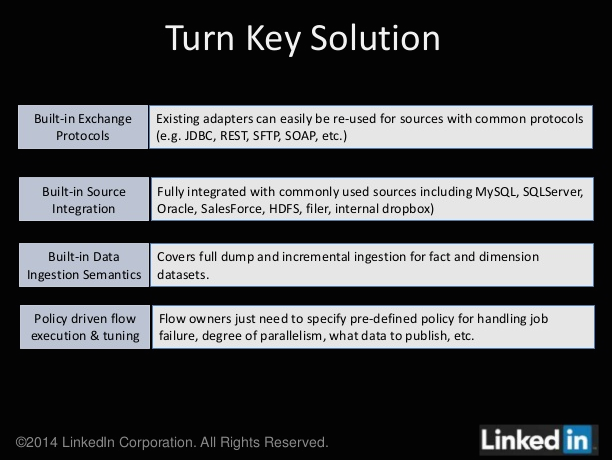 All of these different types of data present a dilemma for LinkedIn considering there are so many variables the company has to take into account before that information can be gathered in Hadoop. These variables include things like the type of data source being sucked in (event streams, log files, etc. ), data-flow types (batch or streaming) and even data-transport protocols (REST, Kafka, company-specific APIs, etc.). 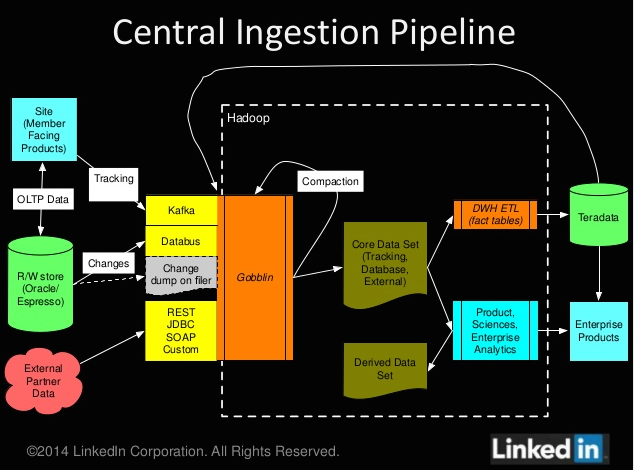 To simplify the data-ingestion process, LinkedIn developed Gobblin, which acts as a gateway to Hadoop that preps all the data flowing in and makes sure the data goes to the right file directory. Gobblin also allows for developers working on other data pipelines to hook up their own adaptors to the framework, so that the system can be used for all LinkedIn engineers. 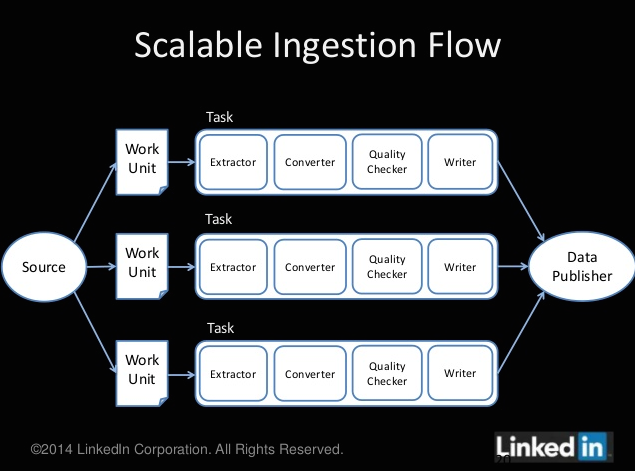 LinkedIn said it plans on open sourcing the framework within the “coming weeks” and as of now, Gobblin is helping LinkedIn process tens of terabytes a day.